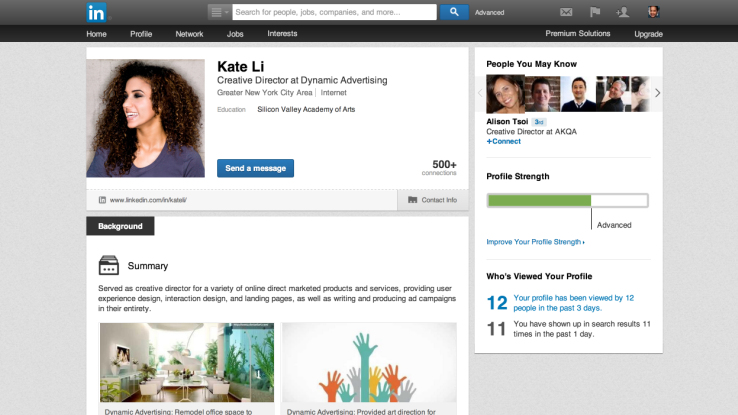 Dont alienate your social networks by asking for referrals the wrong way. Are your reps just clicking buttons to invite people to connect on LinkedIn? Or worse yet, to ask for referrals? The “standard” invite has become pretty standard. But it’s not enough for salespeople, whose job is to build relationships. Where’s the “hello?” Where’s the conversation? Where the heck are their manners? Invite me to connect on LinkedIn without a personal message, and you’ll be one of the 150 invitations I have yet to answer. I’m not arrogant. I’m busy, just as you are. When people include a personal greeting, I always take the time to read their profiles and respond with my own message. But I need to know what prompted their invitations. Did they read one of my blog posts, watch one of my videos, listen to me on a podcast or webinar, hear me speak at an event, or read my book? Or am I just another name to fluff the number of connections they can brag about? Worse yet, perhaps they plan to spam me with sales pitches that are just as impersonal as their attempts to connect. Either way, I’m not interested. And neither are your prospects, customers, or referral sources. Relationships still rule in sales. Whether sales reps connect in person or online, the goal should be to begin a conversation, ask questions, and develop a relationship — not scare people away by immediately launching into a sales pitch. 1. Referrals are very personal. Think about it from the referral source’s perspective. When you refer someone, your reputation is on the line. You want to know the person you’re referring well enough to be confident he’ll follow through, earn the prospect’s trust, and take care of your contact just as you would. He must be informative, insightful, and leave your contact with information she can use — whether or not they end up doing business together. Simply put, you want to be sure the person you’re referring won’t embarrass you and jeopardize your relationship with the buyer. Those thoughts and more are running through the mind of your team’s referral sources. That’s why reps must never, ever ask for referral introductions on LinkedIn. They’re jeopardizing their relationships by assuming people will even want to refer them. Clients tell me it ticks them off when they receive automated requests for introductions. It’s presumptuous and rude — and a big sales mistake. Bottom line: Social media is a great way to identify potential referral sources. But if you don’t know someone well enough to pick up the phone and have a real conversation, you don’t know that person well enough to ask for referrals. 2. You have no clue about the connection. A LinkedIn connection is not a relationship; it’s a contact name. Granted, everyone’s connected to people with whom they have actual relationships, but many people accept every LinkedIn invitation, even those from perfect strangers. That’s why sales reps should always conduct their due diligence before asking for referrals. Until they actually talk to potential referral sources, they don’t know how those people are connected to their prospects. And even if their connections do have strong enough relationships to provide referrals, reps still have to make the business case for why their referral sources should introduce them. With one phone call, reps can learn about the relationship and clearly define the business reason for a referral introduction. Just as importantly, they can strengthen their relationships with referral sources by sharing insights and offering introductions to others. 3. You miss key business insights. When reps automate referral introductions, they lose the chance to learn more about their prospects. But when they reach out to referral sources offline, they get the chance to conduct a discovery call — the same as if they were speaking directly with a prospect. How does the referral source know the prospect? What’s she like? How does she prefer communicating? What’s important to her, both personally and professionally? There’s a saying in sales that people buy with emotion and justify with fact. If we don’t connect with people on a personal level, we’ll never get the sale. And salespeople stand a far greater chance of learning who their prospects are by talking to people who know them than by reading their LinkedIn profiles. Social selling is a powerful tool, and salespeople today are wise enough to know the value of relationships — with prospects, clients, and referral sources. But far too many foolishly waste opportunities to build real connections with people, because they think the rules for relationship-building are different online. And that’s just not true.